This is mixed media piece I did for an art challenge. The woman is obviously drawn to bees and every full moon she performs a ritual to save them. Each card measures 4.5" x 5" and comes with a matching envelope in a cello sleeve. Payment can be made via paypal, direct checkout, check or money order. For those sending checks or money orders, I will ship once they have cleared. I ship usps first class or priority. I print and ship within 1-2 business days. If for any reason you're not satisfied, I will give a full refund or replace the item if it is a card or print. I ask that you contact me before leaving negative feedback please. I will always make the situation right and fair for us all. I print the items as they're ordered. If you'd like multiples, please convo me and I'll put up a special order. I also do custom orders. I have discounts for multiple cards! Buy 5, get one free! 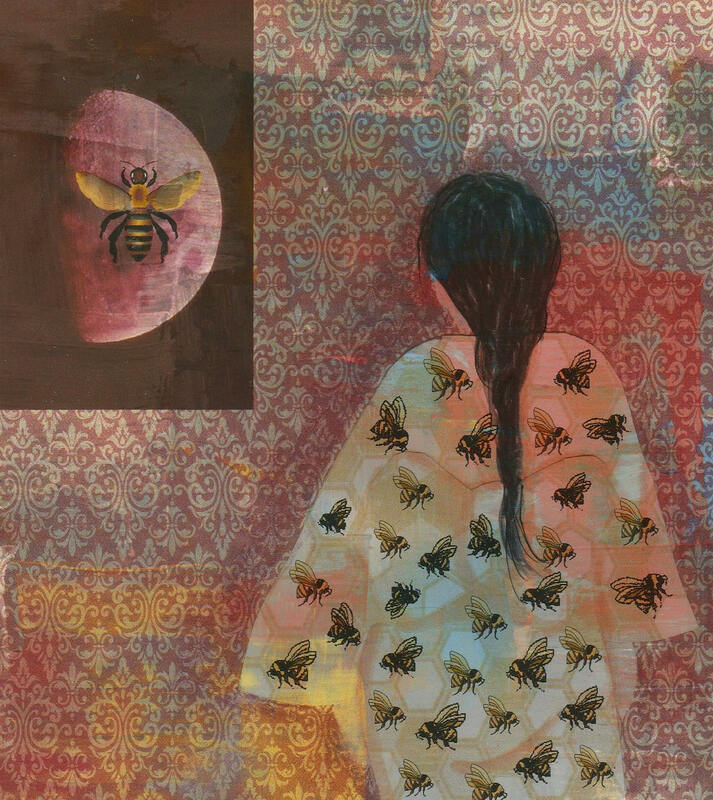 There is so much gorgeous symbolism going on in the bee kimono zen card and I LOVE it!!! The colors...the braided hair....the moon shaped wall hanging with bee....the butterflies on the kimono. Wonderful card.